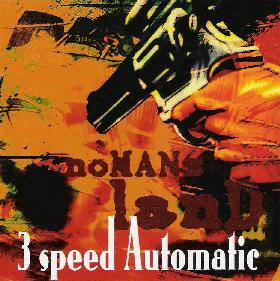 3 Speed Automatic - "No Mans Land"
3 Speed Automatic (3SA) are a new Dutch band that like to ROCK! The band come flying out of the speakers in heavy form with the opening number, Splitting The Atom, and you can tell they mean business with ripping fast Eddie Clarke like wah solos and in your face ROCK. No Mans Land is next. I like the heavy in your face guitar sound of this band. Guido loves his wah. Painkiller has a very spacey wah guitar sound and hard driving groove. These guys rock out in the same way as Nebula do. Fans of Nebula would probably enjoy this as Guido goes for the throat with his guitar soloing as well. Does Somebody Know brings things down with some spaced out slow going beginnings and is a slow heavy song with some Hammond organ as well, way in the background. 2nd Coming starts slow but then attempts to rip your head off with its nasty guitar riff and 70’s style Motorhead influence. The CD ends with Walk On The Sun and is an excellent heavy psychedelic rock song. Wow. A really cool band and I look forward to hearing more from these guys! For more information you can visit the 3 Speed Automatic web site at: http://www.3sa.nl.